The Huffington Post has launched a new "Global Motherhood" section, sponsored by none other than Johnson & Johnson. But the pharmaceutical giant hasn't exactly been a friend to moms — or people in general — in the past. Let's take a look at some of J&J's less savory activities. A 2010 NBC investigation found that Johnson & Johnson execs might have conspired to hide the risks of the Ortho Evra birth control patch. A company VP said in his resignation letter that J&J had ignored "compelling evidence" that the patch was dangerous, making it "impossible for me to stay in my position as VP." Another man was allegedly fired for voicing concerns about the patch's safety. Also in 2010, Johnson & Johnson was accused of paying a nursing home pharmacy company to increase prescriptions of the antipsychotic Risperdal for elderly people with dementia, even though it wasn't approved for dementia and carried an increased risk of death in older patients. A 2001 letter from the pharmacy company to J&J read, in all caps, "We are selling more high-priced drugs (read Risperdal here) for the pharmaceutical industry!!" In 2009, mommy bloggers started questioning whether levels of formaldehyde and other carcinogens in Johnson & Johnson products like kids' bubble bath were really safe. The bloggers say J&J hired a PR firm to go into their comments and call their concerns "irresponsible" and "hysterical." In a 2010 hearing, Johnson & Johnson was accused of ignoring numerous problems with a plant that produced Tylenol, Motrin, Zyrtec and Benadryl, including bacteria contamination, dusty equipment, and a "large exposed hole" in the ceiling. At the time, Rep. Darrell Issa said, the company had allowed "a culture of neglect and irresponsibility to taint the medicines that parents and physicians trust to help children get well." Last year, a number of critics accused J&J of "a long-standing practice of obscuring product dangers." Accusations ranged from engineering "phantom recalls" in which J&J employees posed as customers to buy up lots of tainted drugs, rather than issuing an actual recall notice, to failing to warn customers that Motrin can make your skin fall off. And it's not over. Just this month, Johnson & Johnson and subsidiaries were accused of selling orthopedic devices without FDA approval and continuing to sell insulin pumps it knew could fail and harm patients. Business prof Erik Gordon told the AP (in a story syndicated, amusingly, by the Huffington Post), "Any company can have one of these things pop up and smack them, and you can have a bad coincidence when two of them come and smack you three weeks apart. But it's not bad luck when you have [this many]." Perhaps the left hand just doesn't talk to the right hand. Maybe these companies hire people with big hearts and smart ideas and put them into their philanthropic or "social responsibility" division and give them a budget to do good things, while at the same time the people working in other areas of the company continue to ignore major concerns that have been expressed about the company's business practices or its products. In my mind, a big part of social responsibility is cleaning up your own house. I don't think that any company that ignores valid concerns from its stakeholders can claim that it is socially responsible. 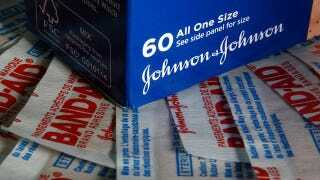 Johnson & Johnson's new sponsorship deal may well be an effort to burnish its image in the wake of a seemingly endless string of safety concerns. And while it's certainly nice that Johnson & Johnson invests in women's health programs, that doesn't mean much if it's actively contributing to customers' ill health. The Huffington Post isn't necessarily the most respected name in news, but it's still a major media outlet with a big reach, and its new sponsored content will reach a lot of people — the name on the banner ad matters. In addition to issuing an influential endorsement of a company with a pretty dark recent history, HuffPo's also partnering with folks who have been the subject of lots of bad news. If Johnson & Johnson keeps hurting moms, kids, and others here in the US, will the new "Global Motherhood" section report on that?